Reading about film festivals creates a real fear of missing out. Believe me, we feel it during the annual Venice and Telluride Film Festivals, even as we are readying our own schedules for the Toronto International Film Festival — where we scramble to catch up with the best of the best in a very short window of time. But you, reading about all of the activity from back home, want to know when these highly anticipated films will finally make it somewhere that YOU can see them… whether that’s in a theater or on a progressive streaming service like Netflix. We have you covered. Here’s a quick rundown of the top movies getting all of the buzz at the Toronto International Film Festival — followed by the latest known release date for said feature. Fill your calendar, read about the movies here on CinemaBlend, and prepare to enter the conversation as we guide you all the way through the Fall film festival season and prepare, together, for the annual Oscar push. Bradley Cooper attempts to tell a familiar story (there are three previous versions of Star available to watch right now), though the ace up the first-time-director’s sleeve appears to be Lady Gaga in the role of a gifted songwriter who discovers the confidence to become a blistering stage star. The chemistry between Gaga and Cooper is said to be undeniable, and we expect A Star is Born to be an Oscar player in multiple categories. 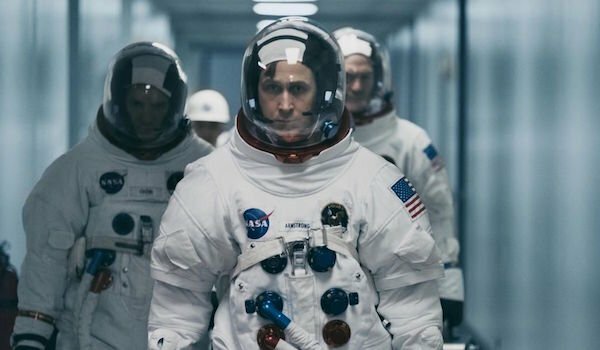 Ryan Gosling re-teams with his La La Land director Damien Chazelle for a gritty, humanizing recount of the space race from the 1960s, specifically the Gemini and Apollo missions that led to the eventual moon landing that put Neil Armstrong (Gosling) on the surface of the moon. This one will be a must-see in IMAX when it opens in theaters. Alfonso Cuaron follows up his Oscar-winning effort on Gravity with a grounded family drama that’s said to pull mostly from the vivid memories of his childhood. Roma is shot on beautiful black-and-white film, and is already being hailed as an emotional, honest and devastating tearjerker.